The Sentrie Techlace™ offers elite-level performance with the comfort of laces and the convenience of a strap. 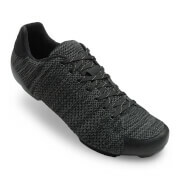 The techlace system replaces D-rings and other hardware with laces, providing a more supple feel across the forefoot, and the laces can be easily replaced if damaged. The Boa L6 dial offers 1mm adjustment increments when tightening and easy pull-to-release function for quick in and out of the shoe. The Sentrie Techlace is constructed with a lightweight bonded and welded breathable upper and an Easton® EC70 carbon composite outsole. Inside the shoe, our SuperNatural Fit footbed features adjustable arch supports to personalise fit, comfort and pedalling efficiency. 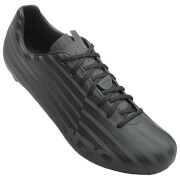 I have been wearing Giro shoes for a while now as they still provide the best fit for me. 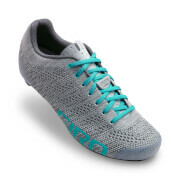 The Sentrie road shoes have that familiar comfortable toe box, reasonably light and stiff at this price point....and the Techlaces are functional rather than just looking gimmicky....been wearing them for a couple of rides now...good job Giro!